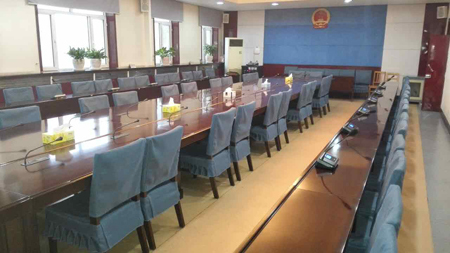 Xinjiang autonomous region finance department is in charge of the financial revenue and expenditure, fiscal taxation policy, financial supervisor, management of state-owned property of administrative institution. 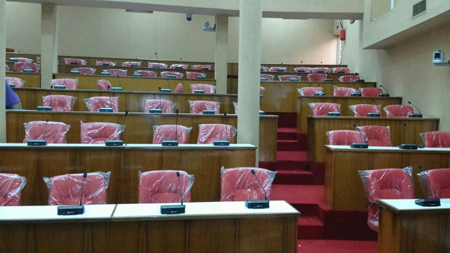 It has 30 inner divisions with 148 administrative establishment staff. 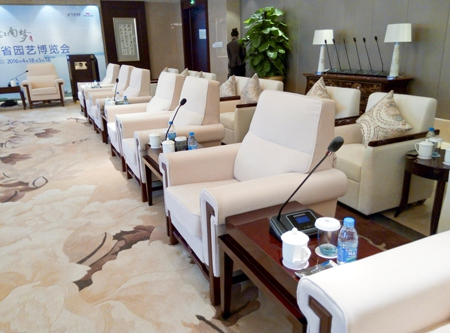 Since the foundation of Xinjiang autonomous region finance department, with the extending function work, it has planned to upgrade its equipments in the conference center in order to improve its collaboration ability and strengthen its communication between its sub-developments. 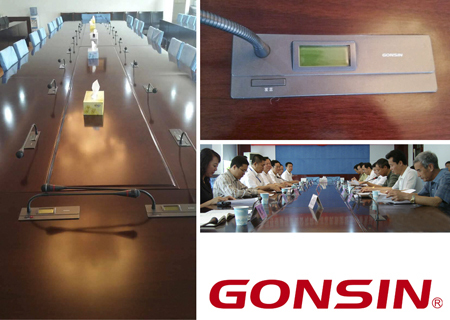 As the famous complete audio video conference system solution provider, GONSIN designs the most perfect solution and assists the conference work of Xinjiang autonomous region finance with its high quality devices. 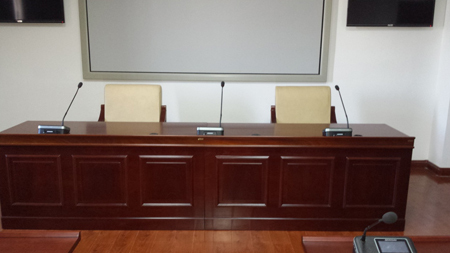 In this upgrade, it adds new devices in the original conference system. 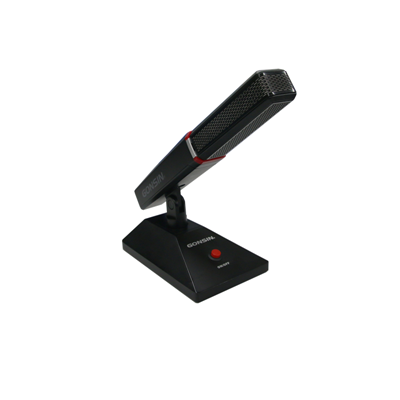 In 2009, the finance department utilized TL-5200 digital conference system. 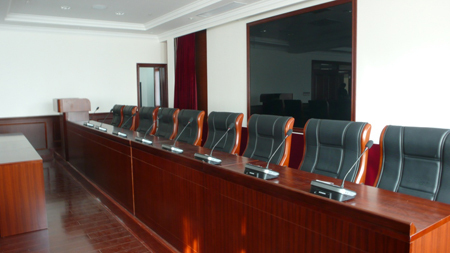 This system adopts embedded installation design with the fixed position. 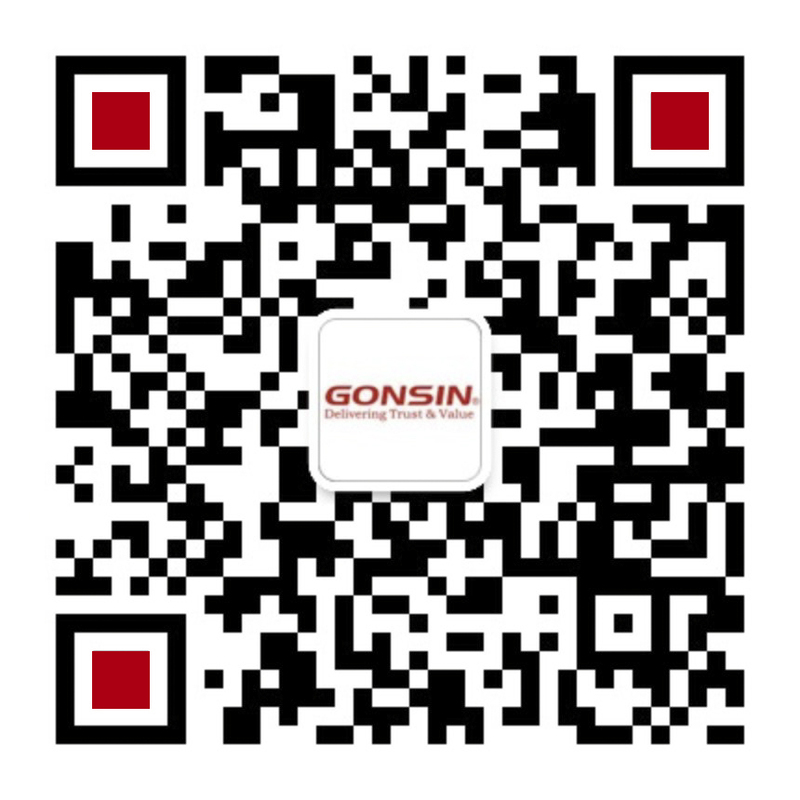 After years of operation, with its stable operation and excellent function, it has won the consistent praise from the leaders and also laid the solid foundation for adding new GONSIN devices. 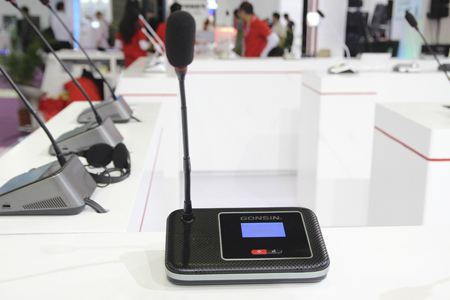 In the solution, GONSIN designers introduced the latest self-developed dual-frequency wireless conference system, DCS-1021. 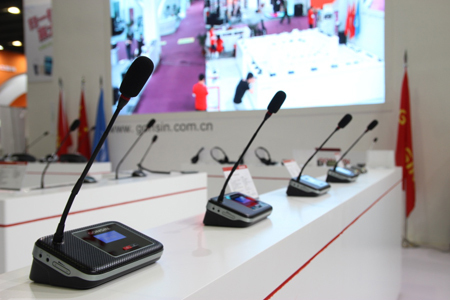 That series is the dual-frequency wireless conference system product based on GONSIN DCS-1022, responding the government call to save the expenses. 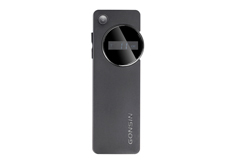 The product is redesigned the audio circuit and dramatically improve the audio function with clear sound quality. 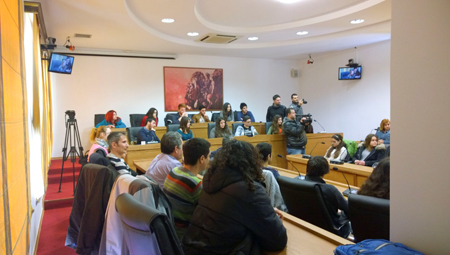 That product meets the high-end demands of the politic and business market, temporary international conference and rental market. 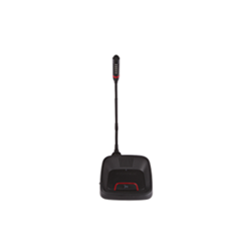 DCS-1021 dual-frequency wireless conference system is the new wireless product based on the WIFI technology, being compatible with IEEE 802.11 protocol. It could switch from 2.4 G to 5.8 G frequency band easily. 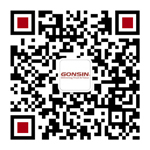 According to the actual usage of 2.4 G frequency band, GONSIN has added 5.8 G operation frequency as the selectable frequency band at the beginning of the development of DCS-1021 wireless conference system, which avoids the unstable signal cased by the overcrowded frequency. Reducing the device number in one frequency is effective meaning to improve the network and prevent the weak signal. The co-existing frequency (dual-frequency) of 2.4GHz and 5.8GHz has been the technology development trend. The advantage of dual-frequency WIFI devices includes stronger anti-interference capability, more stable WIFI wireless signal, more selectable frequency bands, faster transmission. What is more, it enables the wireless devices to save more electricity to meet the demand of wireless transmission of the big data in the future.